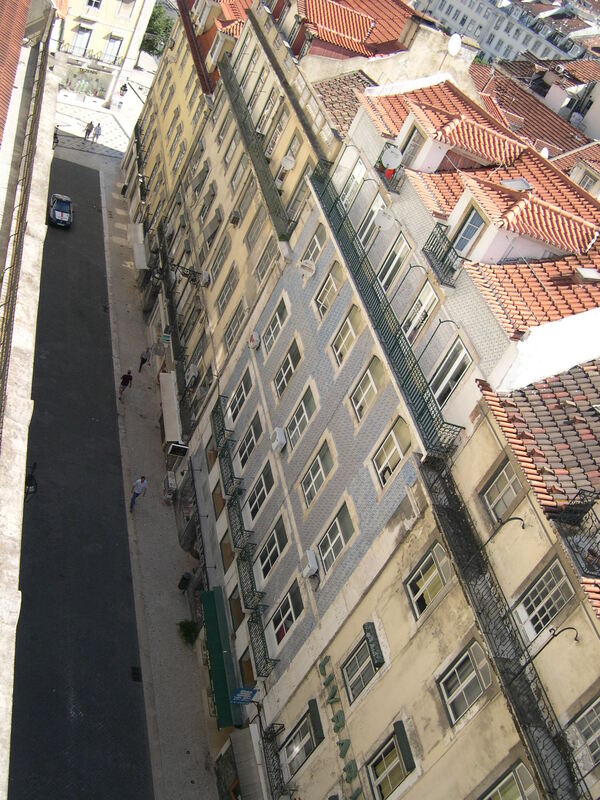 The tourist who can spend a few days in Lisbon should not omit to visit this quarter; he will get a notion no other place can give him of what Lisbon was like in the past. Everything will evoke the past here – the architecture, the type of streets, the arches and stairways, the wooden balconies, the very habits of the people who live there a life full of noise, of talk, of songs, of poverty and dirt. I didn’t set out from any port I knew. Even today I don’t know what port it was, for I’ve still never been there. And besides, the ritual purpose of my journey was to go in search of non-existent ports – ports that would be merely a putting-in at ports; forgotten inlets of rivers, straits running through irreproachably unreal cities … I found myself in other lands, in other ports, and I passed through cities that were not the one I started from, which, like all the others, was no city at all … My voyage took place on the other side of time, where it cannot be counted or measured but where it nevertheless flows, and it would seem to be faster than the time that has lived us. Fernando Pessoa, ‘A Voyage I Never Made (I)’, The Book of Disquiet, tr. Richard Zenith (Harmondsworth: Penguin, 2001), p. 461. This fantastical voyage relates the importance of the process of arriving and departing while maintaining a stubborn remove from any ‘real’ city, a remove, however, that is more provocative than the official presentation of the city and its real places given in Pessoa’s guidebook. More often, however, Pessoa steered a course between this city of the imagination and the real city. The Book of Disquiet is both a meditation on consciousness and recognizably a book about Lisbon, where its narrator Soares is able to claim that ‘the street is all of life’. At another point, Soares makes the observation that ‘[t]here is no difference between me and these streets’, suggesting a relationship between citizen and city that one finds given visual representation in M.C. Escher’s Metamorphosis I (1937). There is an indeterminacy to the life he witnesses in the streets: ‘The people passing by on the street are always the same ones who passed by a while ago, always a group of floating figures, patches of motion, uncertain voices, things that pass by and never quite happen.’ This impressionistic portrayal of city life suggests that citizens are much like the city itself, always coming into being and never completed. Jonathan Raban’s Soft City (1974) attempts a similar idea to Pessoa by presenting the city as something which becomes gradually ‘legible’ to the citizen. For Raban, the city is an ‘emporium of styles’ from which the initially confused ‘greenhorn’ (the newcomer to the city) learns to select. This notion of choice is expanded to include the playing of roles – city life for Raban is always performative and the city is as much a collection of stages as an emporium. If the city does impose its ideology, it has to be recognized in this formulation that, while the city is always at work on us we are always at work on the city too: this ‘work’ involving both the constant rebuilding of the city and the effort put into the performance of identity. This involves a physical and a mental building, the latter represented by Raban’s suggestion that, as we reinvent ourselves, the city rebuilds itself around us. The wanderer, the stroller, the flâneur and the stalker – the names may change but, from the nocturnal expeditions of De Quincey to the surrealist wanderings of Breton and Aragon, from the situationist dérive to the heroic treks of Iain Sinclair, the act of walking is ever present in this account. This act of walking is an urban affair and, in cities that are increasingly hostile to the pedestrian, it inevitably becomes an act of subversion. Walking is seen as contrary to the spirit of the modern city with its promotion of swift circulation and the street-level gaze that walking requires allows one to challenge the official representation of the city by cutting across established routes and exploring those marginal and forgotten areas often overlooked by the city’s inhabitants. In this way the act of walking becomes bound up with psychogeography’s characteristic political opposition to authority, a radicalism that is confined not only to the protests of 1960s Paris but also to the spirit of dissent that animated both Defoe and Blake as well as the vocal criticism of London governance to be found in the work of contemporary London psychogeographers such as Stewart Home and Iain Sinclair. Psychogeographers attempt to utilize the lost elements of city as the basis for a kind of militant remembering. The connection between a textual, ‘readable’ city and the processes of change inaugurated by the demands of capitalism brings us back to David Harvey’s work. As Edward Soja writes, with Harvey in mind, capital is ‘a crude and restless auteur’ when it inscribes its narrative upon the city streets. Given the evaporation of any sense of historical continuity and memory, and the rejection of meta-narratives, the only role left for the historian, for example, is to become, as Foucault insisted, an archaeologist of the past, digging up its remnants as Borges does in his fiction, and assembling them side by side, in the museum of modern knowledge. An old run-down neighborhood should be saved from urban renewal because it seems to satisfy the needs of the local residents, or because, despite a decaying physical environment, it promotes certain human virtues and a colorful style of life. The appeal is to qualities inherent in established ways and to the people’s moral right to maintain their distinctive customs against the forces of change.